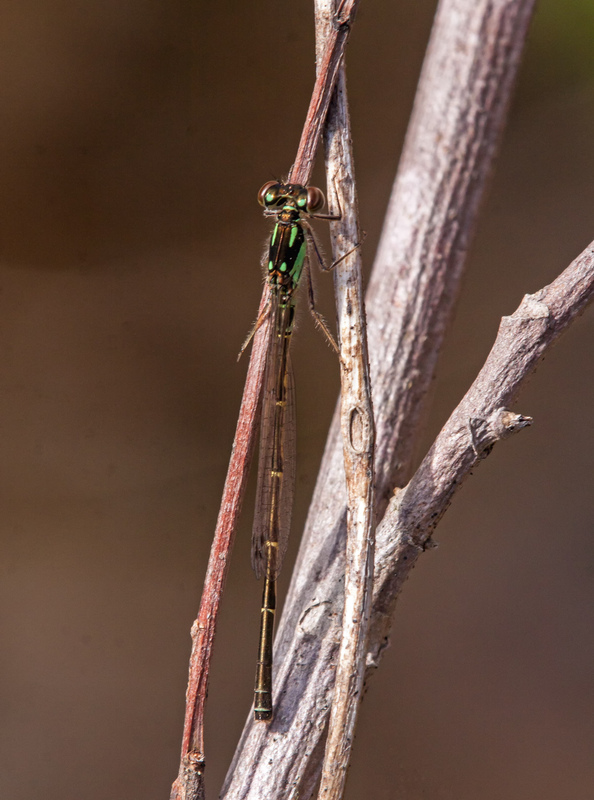 I’m still looking for my first dragonfly of the season, but was thrilled yesterday afternoon when I spotted my first damselfly, a Fragile Forktail (Ischnura posita), at Jackson Miles Abbott Wetland Refuge. In anticipation of seeing one of these small insects, I mounted my Tamron 180mm macro lens on my camera, a lens that has gone largely unused during the long winter months in favor of my telephoto zoom lens. 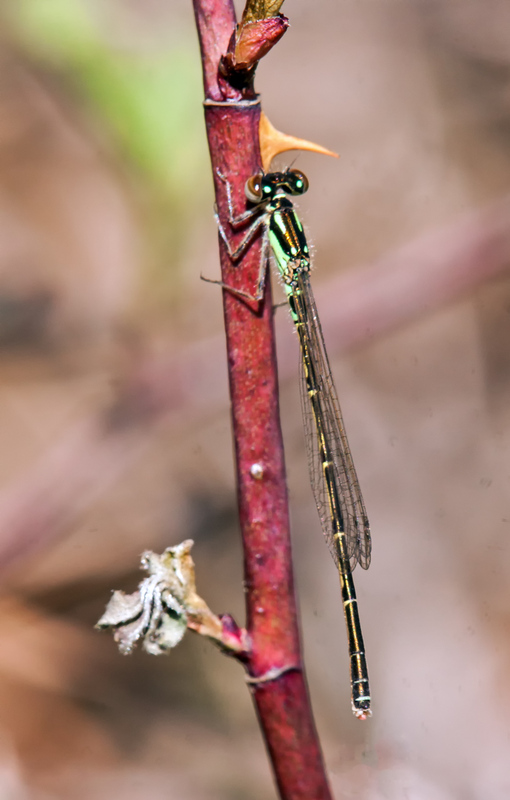 Although not one of Benjamin’s beloved dragonflies, this beautifully photographed damselfly will surely delight him! Thank-you, Mr. Mike!! You are very welcome, Ellen. I am confident that I will be able to feature a dragonfly within the next week or two. Now that things are warming up, I think that some of them will soon be emerging. I have often thought of dragonflies and damselflies as jewel-like and I smile every time that I see a woman wearing a dragonfly pin or brooch. Nice shots, they are endlessly fascinating! 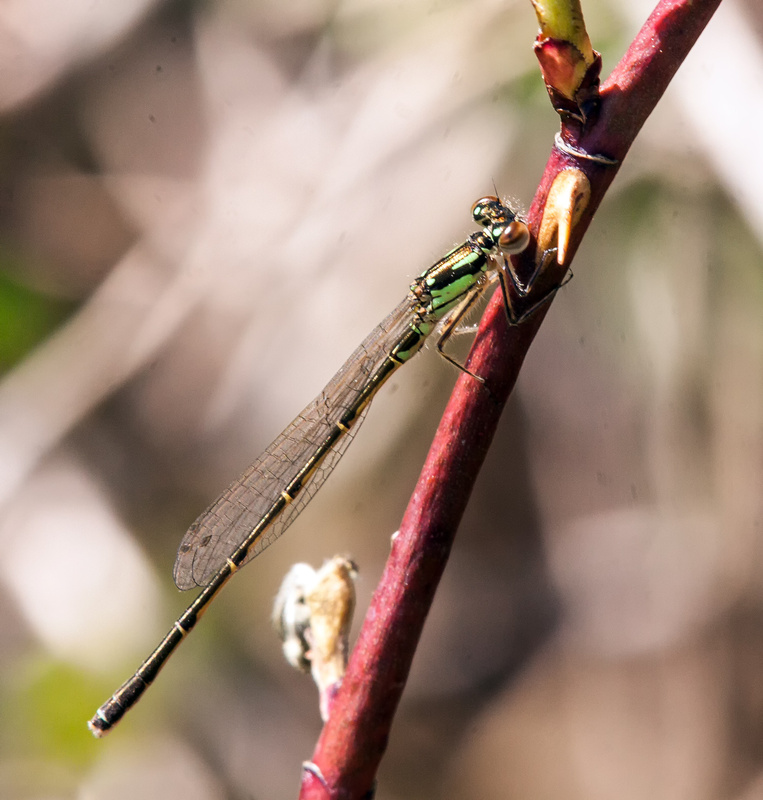 Dragonflies and damselflies have wonderful colors, a fascinating life history, and incredible aerial skills. How could a person not like them? “Wow, Mr. Mike! I like the second picture bestest, Gem made it bigger. The eyes, wings and green color is so cool! I hope dragonflies come soon. Thank you!” Benjamin. Absolutely amazing shots! The detail is incredible! Just beautiful! Thanks. I love shooting macro and it is always exciting when the subjects let me get close.